You come together with a dolphin friend as two beings of light. You share consciousness as you discover more of the dolphin’s joy in aliveness and receive gifts of light. Dolphins are amongst your closest friends on Earth. For all your difference you share much. You complement each other in your desire to see a healing for humanity and through that healing help for all life on Earth. 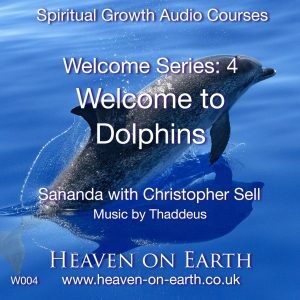 As you may discover in these inner journeys there are certain qualities of light that dolphins find easy and natural to hold in their consciousness that can also be of great benefit to you. In you these qualities have been dormant, but as many have found in connecting physically with dolphins they can be easily awakened. 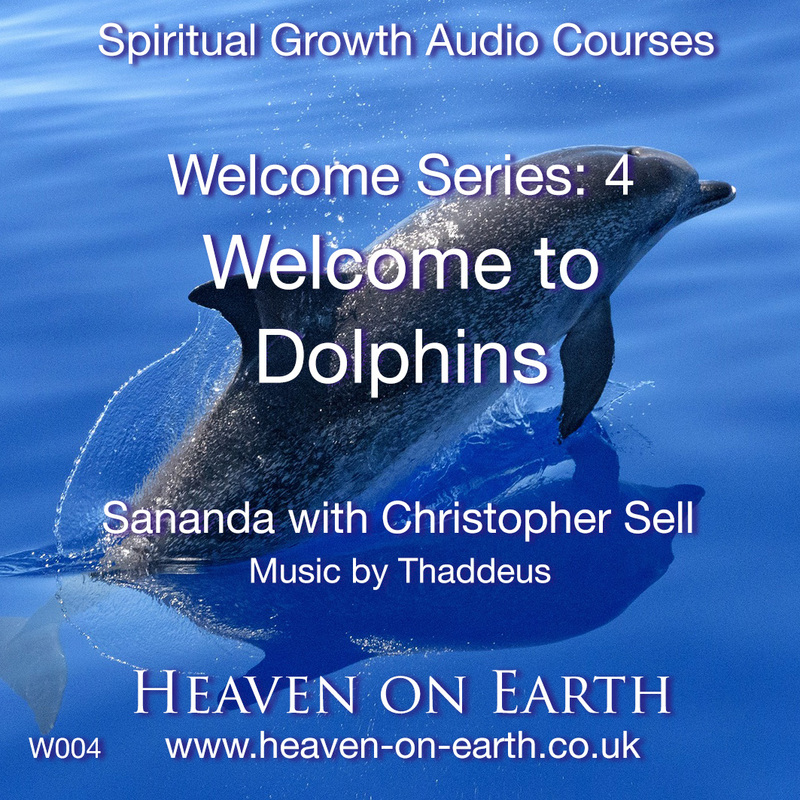 Two inner journeys with Sananda channelled by Christopher, with music by Thaddeus. Track 1: Dolphin Heart. Track 2: Dolphin Star. Your download: Two mp3 files with the notes as a pdf file in a choice of formats for printing out (A4 or US Letter). This series, each with two guided meditations or inner journeys, is designed to help you on your path of spiritual growth. Whether you regard yourself as a beginner or as someone already well along your path, these meditations can take you into beautiful inner spaces and create profound shifts. As you listen Sananda is transmitting frequencies specifically for you at your current stage of growth. The series introduces many beings and states of consciousness that can assist you on your journey of enlightenment. Even where these are familiar to you, you may find fresh insights and a deeper sense of connection developing for you as you use these inner journeys. There are 3 different ways. As soon as you have placed your order, you will receive an email with links to download your course. Log in at My Heaven on Earth with your username or email and your password. (If you forget your password, click on the “Forgot your password?” link and follow the instructions.) Click on Downloads at the top of the page to download your course materials at any time. Log in and scroll down to My Courses. Click on the title to this course. You will find your recordings and notes there to study online or to download. How long are the inner journeys? Most of the inner journeys in Heaven on Earth courses are between 20 and 30 minutes long. What is the background music to these journeys? The music we use is by Thaddeus, an angelic being channelled by Sanaya Roman. You can listen to or buy their music from www.orindaben.com. Are there any follow-on courses to this one? Use the categories or the tags to bring together courses on similar themes or topics. All are designed to help you on your path of spiritual growth.